Our company is a provider of short-code and mobile communication services. Our clients range from multinational corporations and national franchise groups to the smallest entrepreneurs. Our management team has had years of mobile commerce experience and our technology platform is one of the most robust in the market. 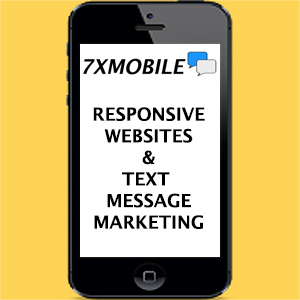 Our mobile strategies drive a variety of industries from Professional Sports to Hospitals and Doctors offices. Our applications operate real time to instantly fill seats, deliver messages, remind appointments and reschedule visits. Our engineers and software designers are experts in the field of Mobile and Internet technology. Our marketing staff designs, develops and deploys mobile apps, mobile websites, text (SMS), multi media messaging (MMS), mobile commerce, or a combination to monetize and measure results. Our philosophy is to build business models that fit your company’s objectives. We consult industry experts to conduct focus groups and beta tests to insure the mobile strategy we design utilizes tactics that target the desired objective to maximize results. Our comprehensive mobile marketing campaigns, when integrated with traditional marketing, power extraordinary return on investment (ROI).